It is a very rare occasion that I don't have a book or two on the go and I kick-started 2016 by reading In Order To Live by Yeonmi Park. This is a spoiler free post. 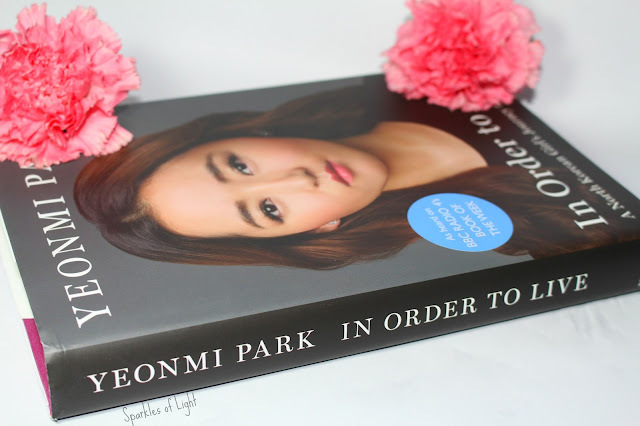 In Order To Live is the true story of one girl's brave escape from North Korea. 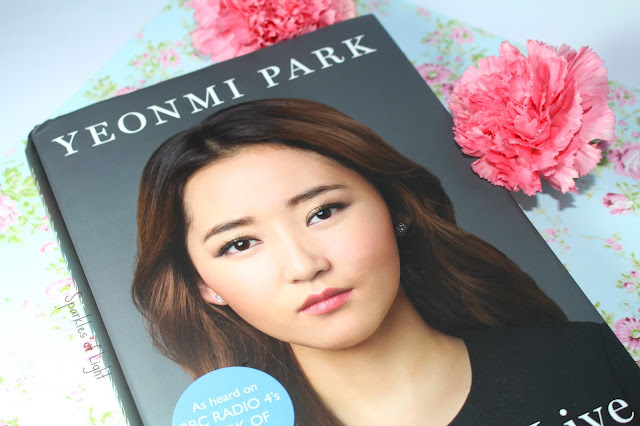 This book has had a lot of press and the general consensus is that Yeonmi Park has an amazing tale to tell and is a must read in my opinion, especially in the West where we are all pretty unaccustomed to seeing people who have starved to death still lying in the streets (just a small portion of the grim reality faced by Yeonmi Park in this book). Throw into the mix some freezing temperatures, fear of being caught, human traffickers and peril at every turn and you could be forgiven for thinking you've stumbled upon a dystopian novel but no, this is real life. If you're looking for an inspiring, educational and page turning read then this could be the one for you. I gave it 5/5 stars on Goodreads and I will be discussing this book along with other (less grim) books over on my BookTube Channel (which is basically a YouTube channel devoted to books) so if you're into reading then check that out. 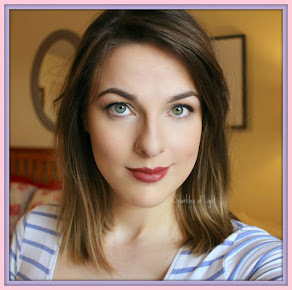 I'm back today with a good, old fashioned, beauty review. 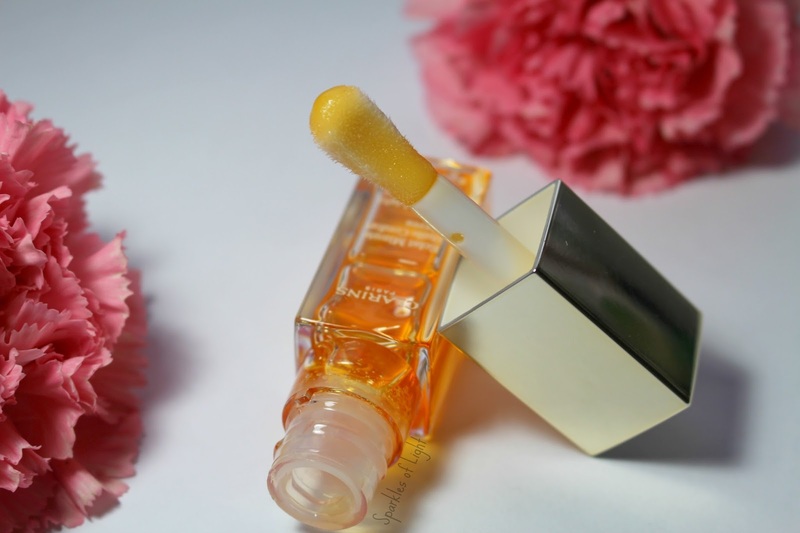 The Clarins Instant Light Lip Comfort Oil was all over the bloggersphere (did I just use that word? Apparently so) in Summer, big bloggers couldn't get enough of it and sure enough, it was sold out everywhere in a nano-second. There was talk of more stock but it never arrived and just like that time Selfridges took my money then didn't send my items, I had to call it a day and walk away. 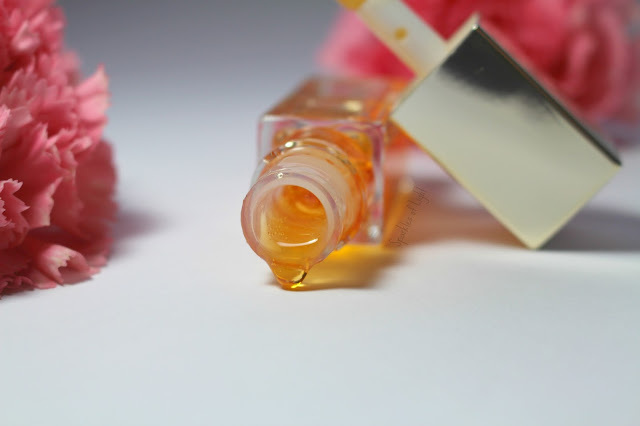 But - the game was not lost my friends, I was browsing one of my favourite websites recently (that would be Escentual) and there she was, my long awaited for lip oil. Now the big question was, was she worth the wait? Upon first application, I have to be honest, I wasn't blown away. I was expecting an oil texture but this feels just like a normal gloss, albeit, a less sticky gloss but a gloss none the less, however I decided to persevere and see where it took me and I was pleasantly surprised that I did actually find the Clarins Instant Light Lip Comfort Oil to be quite soothing and all together pleasant. This has become a daily staple for me (Although in the evenings I'm still all about my Nuxe Reve de Miel - there's nobody else for me at bedtime Nuxe, you're safe). The application wand is a lot bigger than the usual size of a gloss wand and extremely soft, I normally hate any sort of applicator because they usually scratch you up like a kitten on a catnip high but well done Clarins, your Instant Light Lip comfort Oil is pretty comfy afterall. As you can see from the picture, the Instant Light Lip Comfort Oil is a lot more runny than a normal gloss but still more gloopy than actual oil and somehow the weird hybrid texture really works well. I'm so pleased I finally got my hands on this and I have to say, it was definitely worth the wait for me. 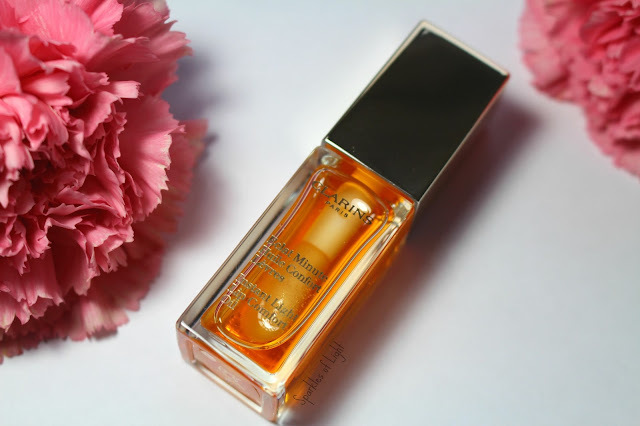 Have you tried the Clarins Instant Light Lip Comfort Oil? Is there anything else you'd recpmmend from Clarins? 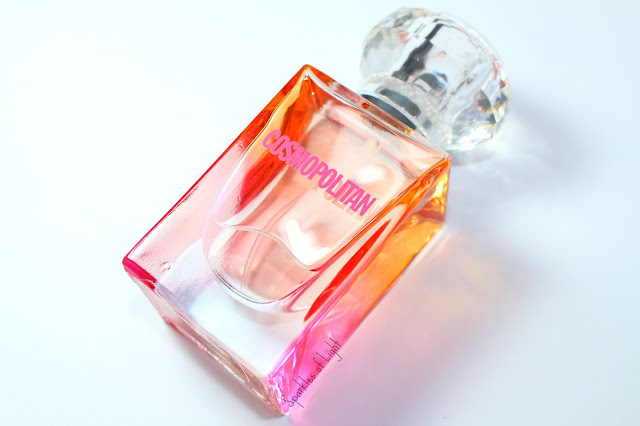 Today I'm sharing with you a new fragrance in the perfume pool, Cosmopolitan The Fragrance. I mean, it would be rude not to stare, am I right? 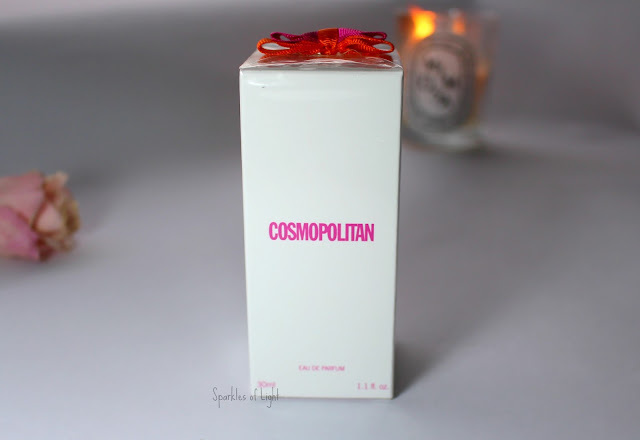 So let's get down to business, Cosmopolitan is a magazine I'm sure we have all heard of and probably read or have read (personally I have a subscription that pops through the door every month) but now the magazine - which famously markets itself as 'Fun and Fearless' - has released a fragrance with the same joie de vivre. 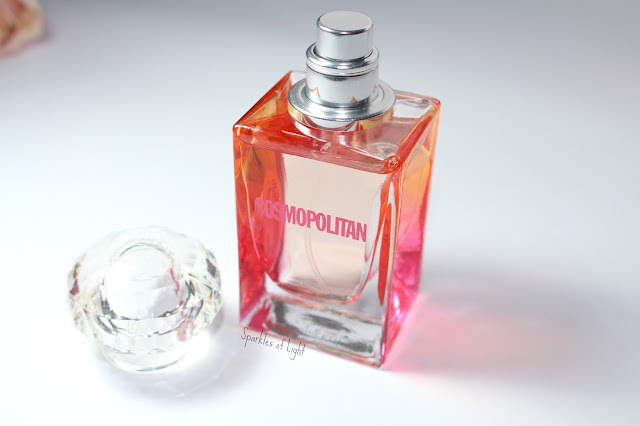 The Cosmopolitan woman’s zest for life is captured in fresh sparkling top notes of mandarin, bergamot and red berries. 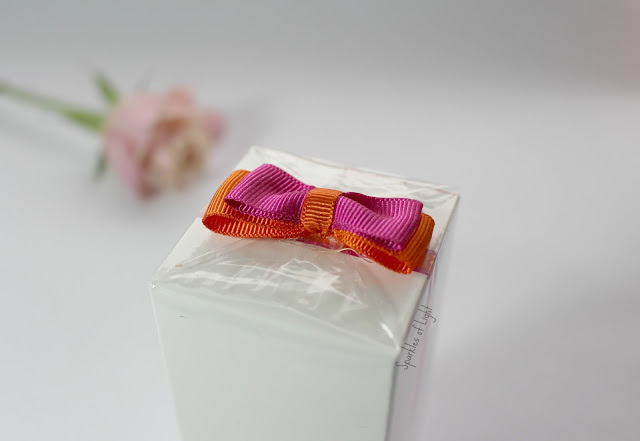 Then comes the surprisingly seductive heart: hypnotic night- blooming jasmine and the powdery sweetness of heliotrope. Pimento berries give it a rich shot of spice, while carrot seed offers something earthy and unexpected. The base will linger on your skin long after you’ve sprayed, with powerful patchouli, comforting vanilla and the tobacco-like qualities of tonka. 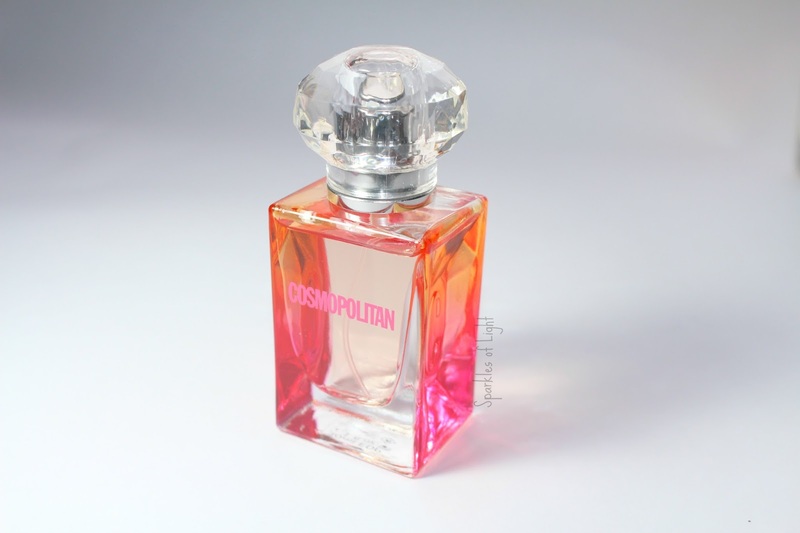 TOP: Pineapple, bergamot, cardamom, mandarin, nectarine and red berries. MIDDLE: Saffron, heliotrope, night-blooming jasmine, pimento berries and carrot seed. Which sounds fantastic, but what is it really like? I have to say this fragrance really does smell 'fun' it is sweet, fruity and quite confident, you can definitely pick out the mandarin with a hint of vanilla. The fragrance lasts a while but I have found you'll need a reapplication at some point if you're wearing it all day. With the scent being so sweet and playful I feel like it will be better suited to the 16-30 market, much like the magazine itself. Have you ever seen the film legally blonde? I feel like this would be the perfume Elle buys for herself as she rolls up to Harvard law school, she would want to smell feminine but still pack a punch (I mean it is Harvard people!). 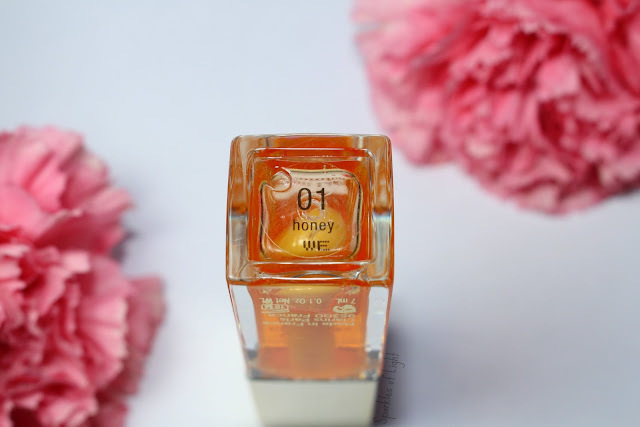 I usually opt for floral scents (Jo Malone Peony and Blush Suede is my staple) so this was fun to try out as it is really different in terms of what I usually go for. 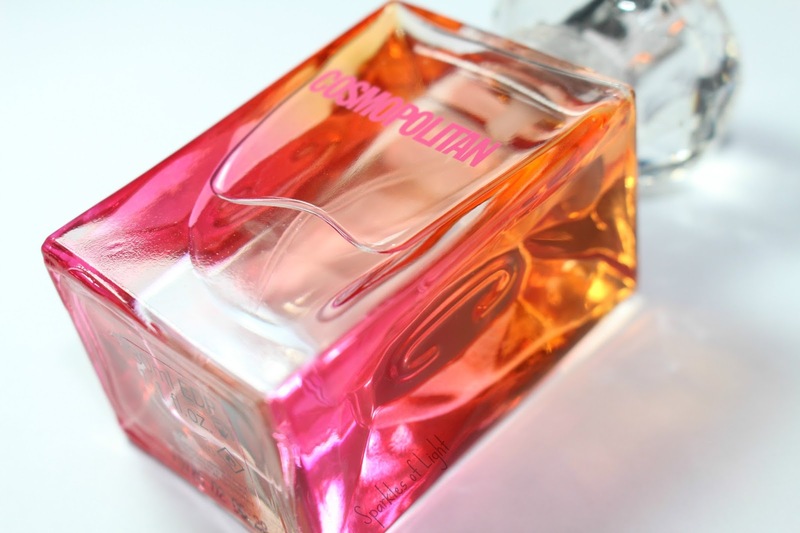 The bottle is so so stunning though I think it may be the prettiest bottle on my perfume shelf now, the colour combination just makes it look like the Cosmo team bottled up happiness and mixed with the art deco style design.... yes, just yes. Even the outer packaging was too pretty not to include. Overall I think this will be the perfect fragrance for lovers of sweet smells and it would make a lovely gift too, I'd be interested to know if any of you received this for Christmas maybe and what you make of it? If you're passing boots give it a smell and you'll see what I mean.